Avery is the Morning and Midday Anchor for KAMC-TV, the ABC affiliate in Lubbock Texas. She’s also a proud MMJ! She graduated with a Broadcast Journalism degree at the University of Texas, class of 2017 (hook ’em! ), and moved just days later to West Texas. In Lubbock, Avery has covered everything from the shooting on the Texas Tech campus to the investigation into a deadly gas explosion that rocked a residential neighborhood, resulting in a $10 billion dollar lawsuit. She also became the self-appointed “city hall” reporter, attending bi-weekly council meetings and following citizen outrage over annexations and high utility bills. Before starting as an MMJ at KAMC-TV, Avery interned at CBS News at the network level in New York City, covering everything from the RNC and the DNC to the Pulse Night Club shooting in 2016. She has also interned in the Investigative Unit at KXAN-TV, the Austin NBC affiliate, doing research and analysis, as well as working on her own investigative pieces. 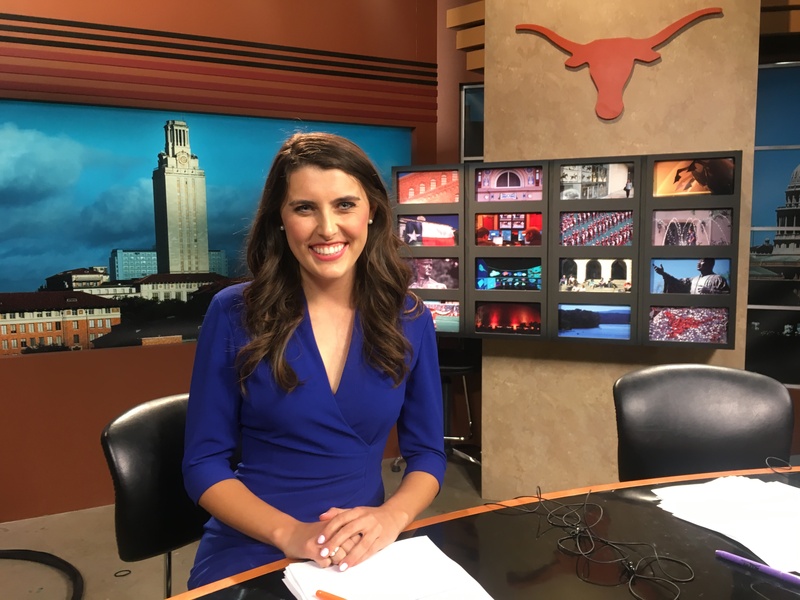 She worked at UT’s FCC licensed, student-run television station on campus, Texas Student Television, reporting, shooting, editing and anchoring for the award-winning newscast KVR News. She also worked with a team of students to create and produce Tower Talks, the station’s first political talk show. She has received several awards for her work, including the Radio Television Digital News Foundation’s George Foreman Tribute to Lyndon B. Johnson Scholarship and the Headliners Foundation’s Joe Roddy, Jr. Scholarship in Broadcast News. Storytelling has always been an important part of her life, and she hopes to spend her life telling investigative stories to make the world a better place using a variety of mediums in the ever-changing business of journalism.